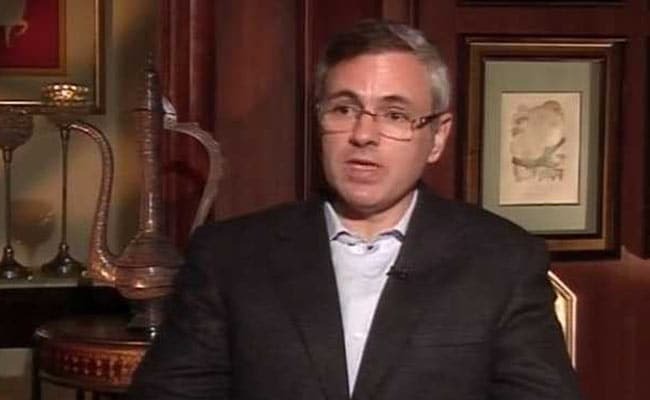 Omar Abdullah had said some MLAs were threatened by investigating agencies during an unsuccessful attempt by the two-member Peoples Conference to form a government in Jammu and Kashmir. The Jammu and Kashmir unit of the BJP today described as "serious" a statement by National Conference vice-president Omar Abdullah that some MLAs were threatened by investigating agencies during an unsuccessful attempt by the two-member Peoples Conference to form a government in the state. "Dragging the names of the country's prestigious investigation agencies like the NIA and the CBI in the alleged threatening of MLAs is a serious matter and Omar Abdullah should come out with proof or seek public apology for indulging in such level of politics," state BJP president Ravinder Raina said. Mr Raina was reacting to a statement by the former chief minister who had earlier alleged that several MLAs were threatened to join the Sajad Lone-led group. Jammu and Kashmir Governor Satya Pal Malik abruptly dissolved the Assembly on November 21 after the PDP staked claim to form a government with the backing of rival NC and the Congress. This was followed by another bid from Mr Lone which claimed the support of the BJP and 18 legislators from other parties. "I can say with authority that the MLAs got threats from agencies. One MLA was told that either be part of the government for two years or prepare for arrest by NIA. Another senior MLA was threatened that a CBI case against him will be opened. This is the problem - those who are not able to come from the front door, are trying to grab the power by breaking the backdoor like a thief," Omar said at a party function. The BJP leader said Mr Omar's statement is a mere display of "frustration of being out of power and the fear of future defeats in the Lok Sabha and the Assembly polls". "Baseless allegations and false claims were arrows in wrong directions in an attempt to win over the confidence of the people of Jammu in particular," he said. Mr Raina said the statement by Omar was a "bundle of lies with no logic or proof". "How funny it is that Omar is now shedding crocodile tears for Jammu and its people but he should first explain why this region remained neglected and discriminated during decades of rule by his party," he asked. "BJP does not need any certificate from the NC or its leadership as the people of Jammu are best judges and can differentiate between the pro-Jammu and anti-Jammu political dispensations," Mr Raina added.